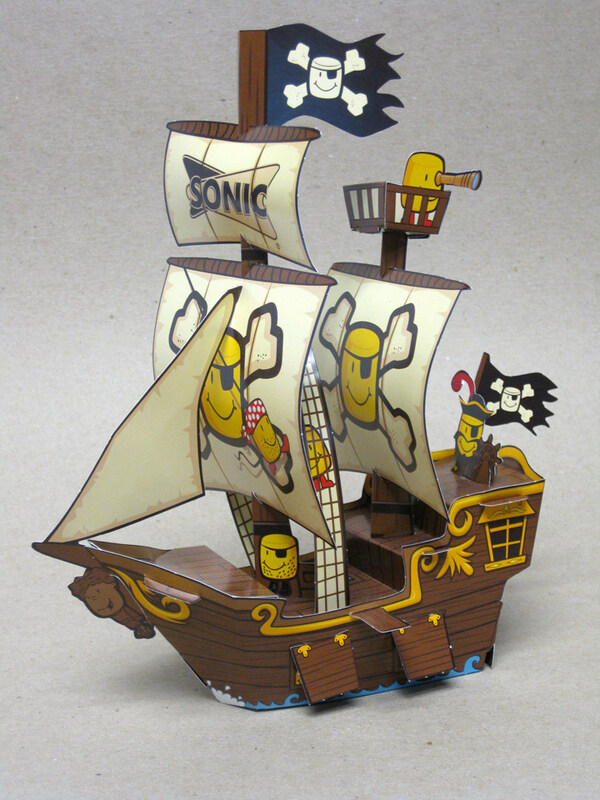 Paper premium for Sonic Drive-Ins Wacky Pack kid's meal. 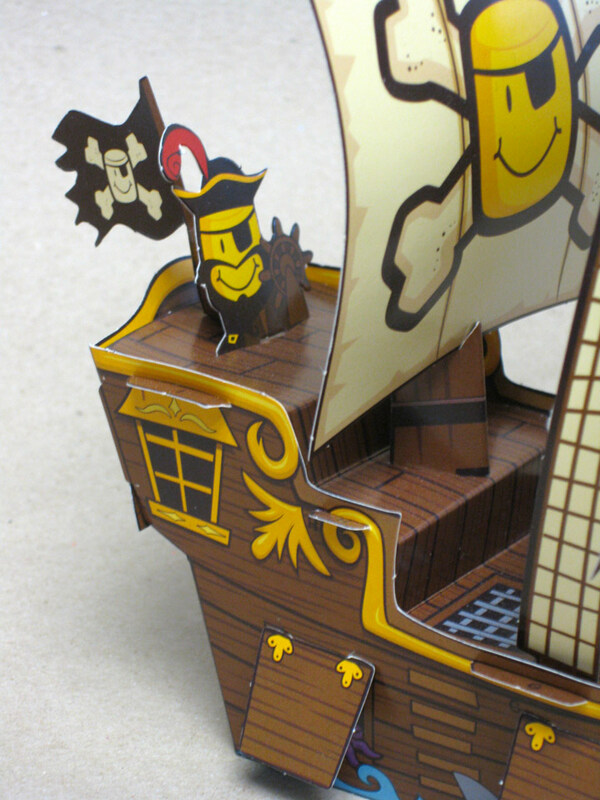 Welcome aboard the Salty Tot, Matey! 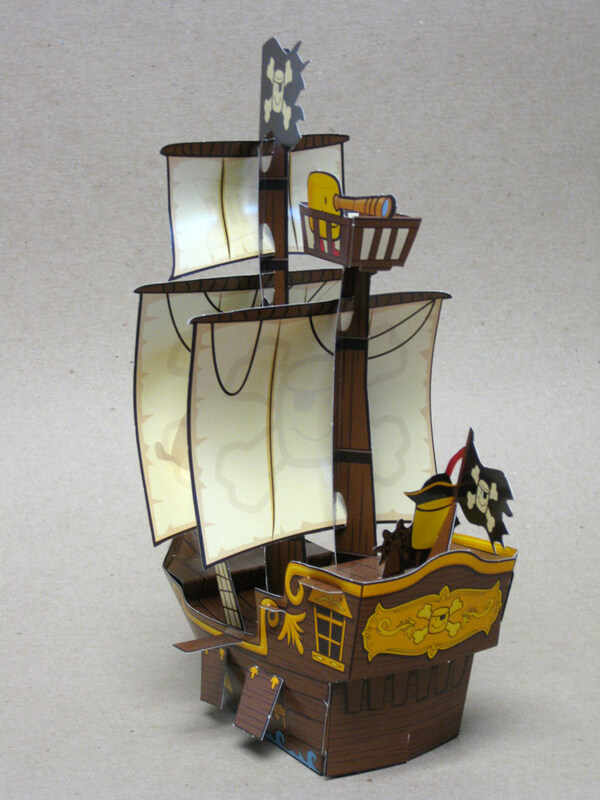 I engineered, designed and illustrated this paper pirate ship for Creative Consumer Concepts (C3) for their client Sonic Drive-Ins. 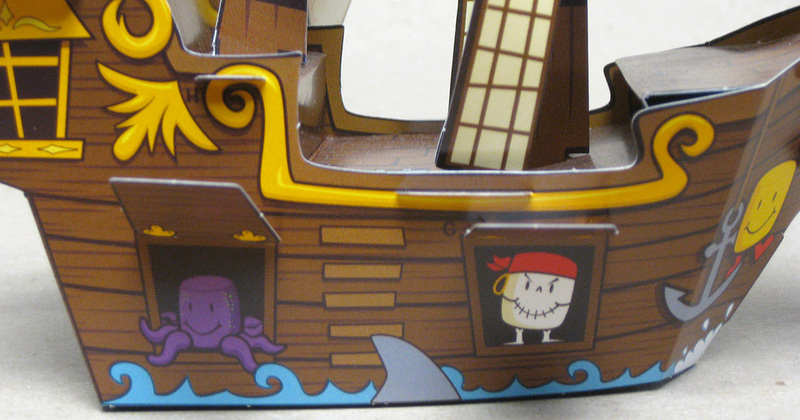 It was one of a few different Pirate Tot themed toys included in their Wacky Pack kids meal. 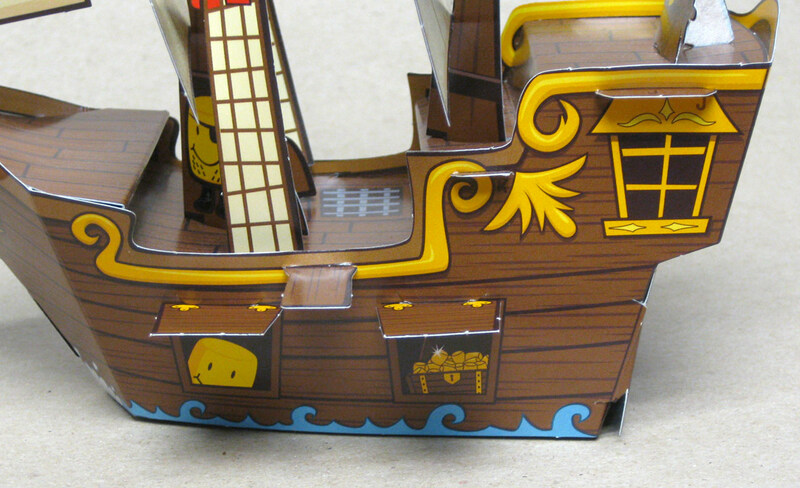 It's all tab and slot construction so no cutting or gluing. One of my favorite commercial projects!